Is moving on your radar this spring or summer? 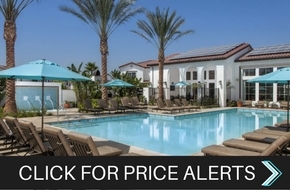 Are you looking for apartments or townhomes in Chino Hills, California? If so, you’re in luck. With the change in season, people think warmer temperatures and flip-flops, but living in a great apartment community can be the key ingredient to a great summer. Imagine having a resort-style pool in your backyard, along with a spa and just about every amenity you could want for hosting a get-together with your friends. This doesn’t have to be a dream. 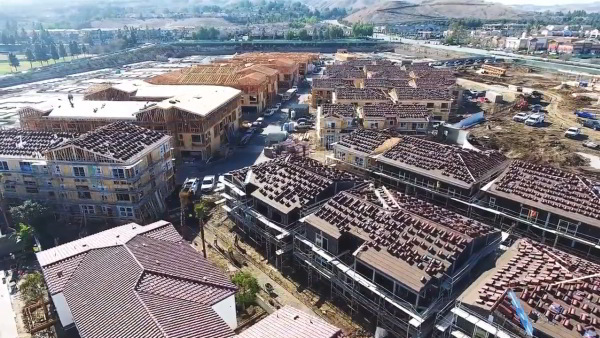 Take a quick look at Lewis Apartments’ soon-to-open community, Santa Barbara in Chino Hills, and you’ll get an idea of how amazing your summer can be. Obviously a pool is a must — after all, this is Southern California. But you don’t want just any pool. How about three? Because that’s what we’re offering up. 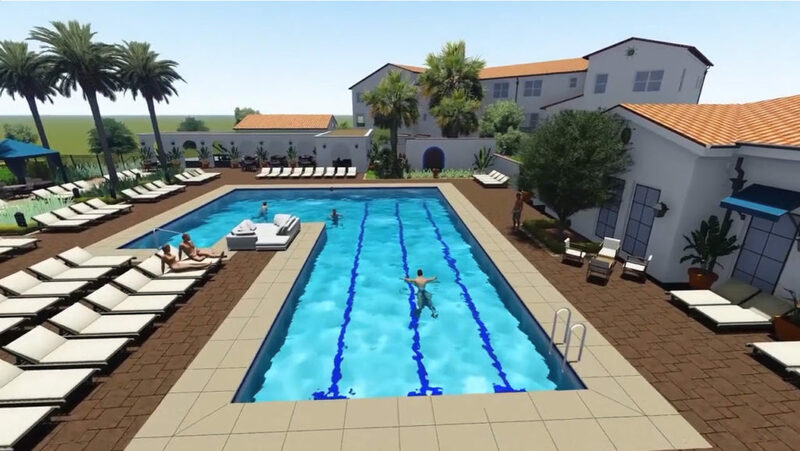 For the fitness-minded folks, we have a lap pool, and for those who want to relax, we have a spa off to the side. Of course, there is also the main resort-style pool, which you probably won’t ever want to leave. What’s more are the amenities in the pool area. 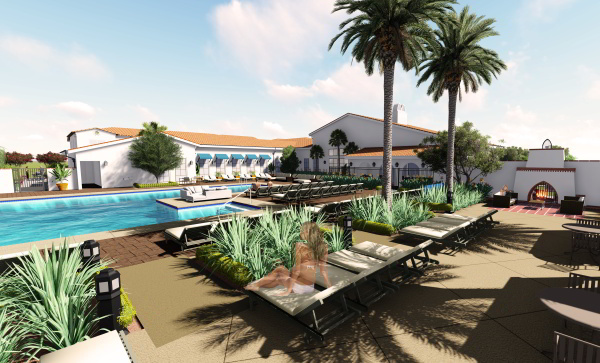 Along with our 8,500+ square-foot clubhouse, there are poolside cabanas, a wet bar, an outdoor kitchen, activities tables where you can play cards, dominoes or games, and an outdoor television. And just in case you want to feel even more comfortable in your swimsuit, there is a 24-hour fitness center and yoga studio. Of course, you might want to stay inside every now and then. In which case you’ll enter a beautifully designed open-concept space with stainless steel appliances, wood-plank laminate flooring, quartz countertops and an in-house washer and dryer. Depending on your needs, these apartments and townhomes come in one-, two-, three- and four-bedroom options with one- to three-car garages. Want to see what a perfect summer might look like for yourself? Contact us to schedule a tour today. Need Help Apartment Hunting? Here Are Some Tips! As we settle into the new year, many will begin to think about their living situations and mull over the possibilities of finding a new apartment community to call home. Whatever your situation, if you’ve been itching for a little extra space, more amenities or just a new place to settle into, here are five essential apartment hunting tips to keep in mind.